Years ago, while taking a numerical methods course, I wrote some code to calculate the expected number of shared birthdays in a group. The code is very simple: each attempt constructs a vector of N birthdays, then counts the duplicates. The outer loop runs millions of attempts, and calculates the mean number of shared birthdays across all the samples. It’s little more than a tight loop around a pseudo-random number generator. I was also learning about threading at the time, and decided that I could speed up my program by running it on the lab’s shiny dual-core machine. 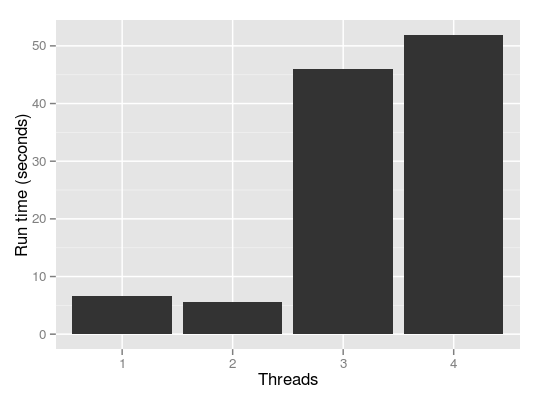 I knew that communicating between threads was expensive, so I had each of my threads calculate their attempts in parallel, and merge the results right at the end. I was expecting a great speedup. Much to my disappointment, though, the multi-threaded version was slower. Much, much, slower. Much like the birthday paradox runs counter to our intuition about statistics, the behavior of bad multi-threaded programs runs counter to our intuition about computer performance. We’re used to computers being much faster than they used to be, and single-threaded efficiency mattering less than it used to in most cases. Counter to that intuition, the gap between good and bad multithreaded programs has gotten worse over time. Two things are going wrong here. 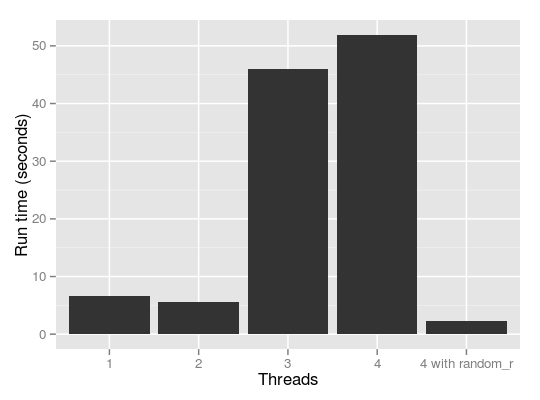 One is that we’re seeing a more L1 cache misses with more threads, but the bigger issue is that we’re seeing a whole lot more context switches. The effect of both of these is visible in the much lower instructions per cycle of the second version. There’s no nice constant for the cost of a context switch, but a good modern estimate is around 3μs. Multiplying 3μs by 16 million context switches gives 48 seconds, which is a good hint that we’re headed in the right direction. 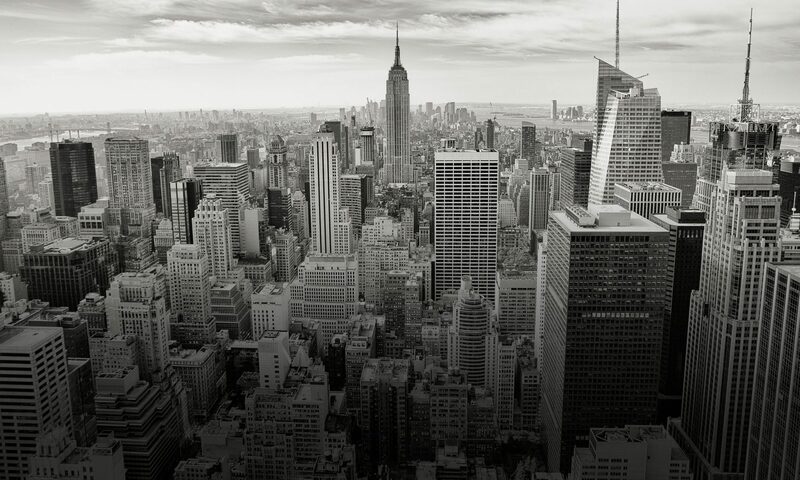 So, what’s causing the context switches? We’re spending 62% of the time sorting the array, which is used to find the duplicates. That’s about what I would have guessed. What about the version with four threads? I recognize that spinning on a tight loop on random is a contrived example, but it’s not too far away from reality. Many programs that multi-thread for performance end up with library or system calls inside relatively tight loops. Our intuition about these things tends to follow Amdahl’s law. At worst, it’s tempting to think, these things count as a non-parallel portion of code and lower the maximum achievable parallel speedup. In the real world, though, that’s not the case. Multi-threaded programs can, and very often do, run much more slowly than the equivalent single-threaded program. It’s just another thing that makes writing multi-threaded code difficult.